there are few forms of exercise or activity that do not come under the heading of relative when considered in the perspective of individual effort. it's only a week or so since the gentleman from cotswold cycles treated us to a masterclass in slogging our guts out over 80km or so, mostly into an hebridean headwind. there was at least some saving of face on reaching debbie's where he was found to be breathing heavily enough to convince that he struggled as much as did we, except one or two kilometres an hour faster. as i said, it's all relative. left to our own devices, unless your end of year contract depends on it, i think it safe to say that the hurt factor is less than when in impressive company. there is something to be said for trying to keep ahead of one's companion(s) while trying desperately to look as if expending nowhere near the maximum number of watts. that this simple deception is likely being played out amongst the entire peloton adds but a certain frisson to the morning's proceedings. there is much to be said for being first into the coffee shop. i have learned, however, that the deception can be extended just a metre or two further, though i fear that exposing it in print will lose me the credibility i hope i might have accrued. much like pretty much every other peloton in the world, the velo club has a couple of 30mph signs for which it is incumbent on the returning warriors to sprint. face needs to be saved if the energy levels are not at those professed throughout the preceding kilometres when speed seems to dramatically defuse before sight of the two signs. my deceit is to re-engineer myself as a selfless lead-out man, thus covering myself in domestique glory while simultaneously hiding my lack of apparent speed. clever n'est pas? however, that was then and this is now. 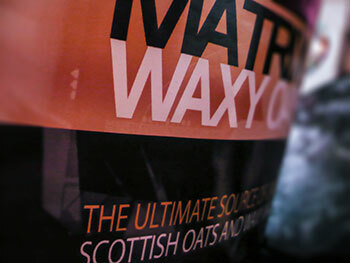 waxy maize and scottish oats recovery shake consumed and shower dutifully taken, what's to be done about those creaking muscles? i've always thought it a decent workout if the thigh muscles groan just a tad when climbing or descending the stairs, but self-satisfaction is no respecter of short-lived pain, however relative it might be. rapha's retreat in southern france brought with it the services of bart, thor hushovd's personal masseur with whom an appointment made prior to the day's ride was concluded post effort with an half-hour leg massage. it was the first time i'd ever experienced what it was like to have new legs after my lanterne rouge winning moves, and an experience that would be still most welcome each early sunday afternoon. perhaps it's something that could be added to the menu at debbie's? for most of us the best that can be achieved is the rather dubious sounding self-massage, but in this case simply the means by which those overly used muscles might gain a certain respite before falling asleep in front of the telly that selfsame afternoon. it's hardly how you'd picture a superhero. however, arriving a close second are three products from the impressively named natural hero, purveyors of botanically infused massage bodycare. before managing even to open any of the small bottles, spray or tube of ginger muscle rub, great play is made of their high percentage of natural ingredients and the fact that all are tested on athletes and not animals. eighteen millilitres of hot ginger natural muscle soak is considered of sufficient quantity to add to a steaming hot bath in which those relatively tired muscles can lose any tension they might be harbouring. apparently the oil can also be used as a direct massage on knotted twists of muscle. 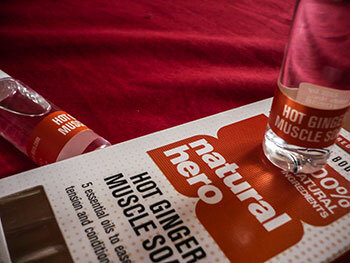 the soak can be fortified and complemented by natural hero's hot ginger muscle rub. i cannot attest to any noticeable difference engendered by the former, but the latter when applied after the aforementioned sunday ride did seem to favour some lessening of sprinter's thighs; a common complaint amongst the slow and inept. 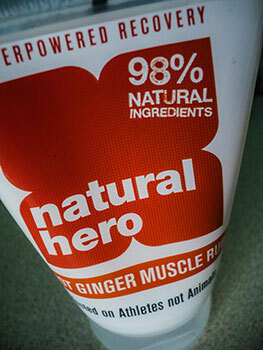 the final factor in natural hero's fight against post-ride creakiness does the opposite of its compatriots. where they seek to apply heat, the aerosol applied cool peppermint muscle spritz offers an instant cooling with an avowed propensity to 'ease stiff and aching muscles.' i'm afraid i found this to be not a sensible bedfellow to its hot ginger muscle rub; based on nothing other than tactile sensation. though there may well be some technical belief that freezing and heating one after or before the other, i'd prefer perhaps to cool pre-shower or bath, and apply the muscle rub afterwards. and while we're on the subject of relativity, how this triumvirate deals with your aches and pains will probably follow a similar pattern. i cannot honestly say i found any notable difference after a muscle soak bath, other than making it difficult to sit up and read without sliding down the bath surface. however, i'm willing to accept that prolonged use may well offer subtle benefits. the peppermint spray is possibly the easiest to instantly appreciate; that instant freeze did eradicate a niggling squeak from my left knee with little more than a few applications, and the muscle rub is, if nothing else, a pragmatic medium with which to ease a leg massage, given that its undoubted soothing properties add a certain frisson to tired muscles and fatigued skin. i'm never totally convinced by products such as these because it's hard to separate reality from artifice. 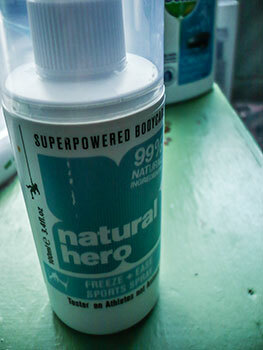 however, it would be naive of me to ignore certain benefits that i can only apportion to my regular use of natural hero's botanicals. whether it's the massage itself, the products, or a combination of both, i doubt i'm qualified to say, but i'm pretty sure they're doing something beneficial. it was charlie watts, drummer with the rolling stones who first latched me onto the concept of pre-owned in a more enlightened manner. not that charlie watts and i have ever bumped into each other, you understand, but in an interview along with jim keltner regarding their album the charlie watts/ jim keltner project the stones' drummer revealed that he preferred elderly gretsch drum kits (he owns a yellow tony williams kit amongst others) and often played with aging drumsticks too. and not that it has any direct bearing on the subject at hand, but this is also where i learned that you switch the snares off when playing with brushes. unlike rush drummer, neil peart, who appears to change enormous drumsets more often than he changes his socks (and he's not known for his brand loyalty either, now that you mention it), charlie watts seems to have been playing the same wood finish gretsch kit since the stones originally released satisfaction. there's a lot to be said for his approach particularly in the knowledge that many musical instruments improve with age. were that not the case, more violinists would be playing plexiglass instead of lusting after stradivarii. it's all to do with organics and patina. for reasons that i prefer to leave open to discussion, i have a distinct hankering after lugged steel frames. yes, as a progenitor of the future of cycling i'm sure i ought to exclude the latter and offer more houseroom to the ubiquitous carbon fibre, but lately the plastic noise they make when you click a fingernail against them somehow undermines the shimmer of the weave under the clearcoat. if i might quote from robert millar's first column for rouleur magazine "The black carbon bike might be the trendy, non-bendy, ruthlessly efficient material of the moment, but for me it's been overdone. It's trying too hard." though there is an element of the handbuilt involved in monocoque carbon construction, it's a bit like painting by numbers. the mold has been drawn up and constructed by someone else; the manual labour involved is just sticking carbon matt inside (apologies to those whose daily work i have just unceremoniously trashed). steel ages gracefully. even that orangey brown stuff that will eventually infest chainstays, forks and bottom bracket shells has a character, a patina that attests to not only the fabric but subliminally the hours of artistry and craftsmanship involved in joining all those tubes to resemble and actually become a bicycle. however, there is little doubt that i, and several others are in danger of inflecting the steel frame with a prowess that it perhaps does not deserve. one of the masters of the craft, one who considers himself neither an artist nor engineer is richard sachs. "On a bicycle, tubes intersect and must be joined to make a structure. There are many ways to accomplish this. I use lugs, an oxy-acetylene torch, and filler metal because they're what was there when I walked into the room, it's what I know, the method I have worked hard to perfect, and one I am very comfortable with. It wouldn't be wrong to say I stay with this method because it's the baggage I inherited. Rather than lament about it in a changing world, I take my training, intuition, and skills, and use them to an advantage in a decidedly non-ferrous market." so where does that leave me (us)? 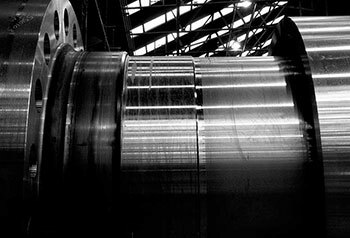 however, steel is still as much a fabric of our modern universe as was once the case, back in the days of the industrial revolution. granted, it no longer has the cache of many a modern fabric such as the aforementioned carbon fibre. even copper wire, the trusted standby of pots (plain old telephone system) is being usurped by fibre cable. but steel, though less prevalent in contemporary society, still has its important role to play. as photographer andrew g smith states in steel soul: "Factory closures accelerated (in the 1970s), and the eventual result was one of 1,000 acres of derelict land in the Lower Don Valley." andrew g smith has palmares in the vein of cycling. his velo exhibition and book have decorated walls such as those of look mum no hands!, while the book of the exhibition is introduced by a bill strickland essay (yes, that bill strickland). testimony indeed if testimony were even required. steel soul has no bicycles in it whatsoever; but it does have steel. lots of it. and in the course of examining each impressively bold image, there is an unadulterated impression not only of size but of steel's audacity to still exist in an era of space age and involving a manufacturing process that creates its own self-existence. i'm not trying to sound high-fallutin'; but cast even an inexperienced eye over smith's highly contrasted images and the results of hard work, industry and make-do are evident in each and every corner. and somewhat ironically (pun intended), there is steel everywhere. even in the process of melting, casting and forging, for from what else would you make the necessary machinery? there are tubes, hoses, widgets, inscriptions and even chains, all of which show the signs of wear associated with the endless day to day. drum set counterhoops are fashioned from steel, either pressed or cast which, in an admittedly convoluted way, brings us sort of directly back to charlie watts. it also passes within a hairsbreadth of robert millar's custom Dedacciai Pegoretti in one of their artwork paint finishes. I tested one once and it was beautiful both to ride and to behold. It was fibre-free and all the better for it. That was covetable." king of scotland, jimmy mccallum has expressed a preference for condor's super acciaio over the regular team issue carbon leggero. 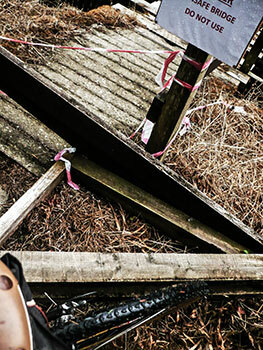 the madison genesis team ride steel exclusively. 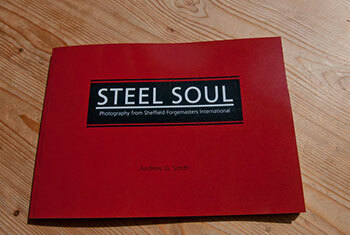 it's a material that simply refuses to lie down, and it is this aspect of the process that andrew smith has dramatically captured in steel soul. this is a whole world away from sitting at a computer desk or behind a supermarket checkout; sheffield forgemasters operate something far more visceral than either of those. but the real attraction for me, inherent in each of the eighty images, is the overwhelming preponderance of black. so much a part of each of smith's monochrome images is this latter factor, that some of the pages benefited from a satisfying peeling apart. all that heavy facing ink. 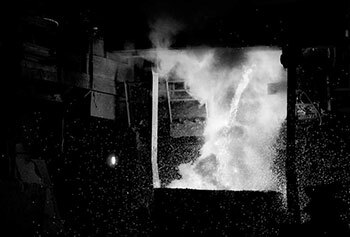 in the section dedicated to forging, white-hot ingots of steel contrast dramatically with the shadows, adding a malevolence that perhaps suggests just why steel has managed to survive. add to this sight of machinery from craven brothers of manchester, from siemens, from birlec, kuflex, election engineering services; there is industry dependent on industry. from our point of view, there's reynolds, columbus and dedacciai and true temper, though admittedly probably not from sheffield forgemasters. the link, however tenuous is there. if you've ever visited the workspace of a framebuilder who works in steel, you may well recognise at least some of the paraphernalia. it parallels the words of charlie watts, for no matter whose job any of these processes becomes, they'll be using pre-worn accoutrements. image 28 for instance: a heavy-duty vice on an aging wooden right-angle bench, a plain stool, wooden pigeon-hole storage racks, striplights, grubby wall sockets, wire waste bins and a darkness that eschews modernity. such imagery is not only well observed, it's almost a throwback to industrial times when simplicity and function ruled the roost. you will be less than surprised that i have a favourite; probably the least populated image of the entire set of eighty, depicting shafts of daylight failing to impinge on the blackness of the melt shop. it's designated fig. 21 a means of identification that gives rise to my one criticism of steel soul. as evidenced by the legend on andrew's website, the book measures 290 x 210mm, and those 290mm offer enough white space below each rectangular image to imprint the caption. why then refer to each as fig 1, 2, 3 etc. 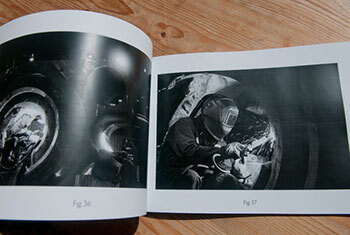 and list the full caption at the back of the book? though i found the images perfectly capable of existing on their own merit, constantly flipping back and forth for identification is a bit of a pain. i doubt either andrew or i would expect an audience of cycling obsessives to order this limited edition book in unheard of quantities, but however tenuous the connection between steel and steel, if you consider yourself a student of photography, this will be of great interest. by now, my protestations regarding an avoidance of proper training are probably beginning to wear a bit thin. but in much the same way that i would be entirely reticent to describe myself as a photographer (i'm really just a bloke who takes the occasional photo), i find it hard to equate my velocipedinal activities with any recognisable form of training. yet in this assertion i am likely being naive. for even if these saddle bound scrabblings do no more than keep me at the same level of fitness as was mine at point of departure, that could conceivably be regarded as training. however, if anyone ever brings that up in polite company, i will deny everything. in much the same way as lord carlos likes to consider himself a bloke with a bike rather than a bona fide cyclist, i harbour fears that any mention of training as a specific activity would class me as someone who took their cycling seriously. or perhaps i mean too seriously, given that i'm more than happy to accept that at some points of the day i do indeed take my cycling seriously. the fellow with whom i created an agreement or pact regarding this non-training facade is mr mottram of rapha. yet during april's retreat in provence, he was perennially several lengths or kilometres ahead of my own perambulations. (to be fair, the same could be said of everyone else on that particular excursion). allowing for the substantial age gap, i cannot but suspect that the gentleman in question may have indulged in some extra-curricular activities that led to this dramatic difference in climbing prowess. however, i'm inclined to overlook this on the basis that he is participating in the rapha organised bordeaux-paris ride, one that leaves the start point this coming thursday. i confess that were i to be staring the better part of 600 kilometres in the face, i'd likely have resorted to training too. however, scanning through more than just one book that promises to turn me into philippe gilbert in a smattering of days, it appears there is a silver lining surrounding pretty much any method you care to choose. a mantra repeated by many in the professional idiom goes thus: 'don't stand when you can sit, and don't sit when you can lie down.' in other words, rest is as much a part of improved performance as is hurting yourself a great deal on unfeasible gradients or windswept roads in the hebrides. it's probably the finest excuse/reason known to cyclists intent on spending an agreeable amount of time sitting at the coffee bar, nursing a mug of froth. surely there can be no shame in professing, straightfaced, that constructive resting is as much a part of becoming jimmy mccallum as is frantic pedalling? say it often enough and with sufficient conviction, and there's a good chance that someone might just believe it and buy you a second coffee. and a piece of carrot cake into the bargain. however, i have just come upon a far more convincing ploy that ought to remove all doubt as to the efficacy of the training programme that none of us are really following. leaving the bicycle leaning against the bikeshed, and grasping a waxy maize and scottish oats recovery shake in the left hand, the deal clincher ought to be the style of chair in which we recline. 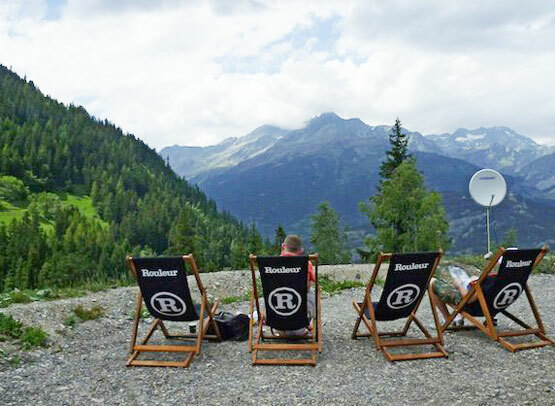 directors' chairs with your name or sponsor printed across the back are so old hat; today's honed athlete reclines in a deckchair; and not just any old deckchair, but a teak oiled, hardwood rouleur deckchair. 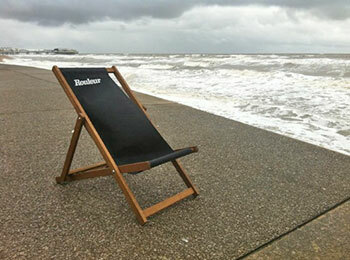 extremely limited numbers of the rouleur deckchair are available for £75. christmas isn't quite the same anymore. disregard the fact that i'm a lot older than i was when the festive season still engendered feelings of excitement, when there was still an element of delight in leaving a glass of milk, a mars bar and at least one tangerine on the mantlepiece to refuel santa on his busiest night of the year. i'll refrain from making comment upon the ludicrous amount of christmas presents that today's kids demand, and try not to mention the preponderance of gadgets and electronica. because i'm sure that, when they themselves reach my advanced years, they'll be offering the same scarcely concealed moans as i have tried to hide in this first paragraph. aside from the net stocking full of chocolate money, the most obvious feature missing from santa's sack was the almost inevitable annual; a compendium of stories, games, cutouts and other nonsense tenuously related to the colourful comic that mum used to bring home from the newsagent once a week. the earliest one i recall was the playhour annual, the first step on my way to boy's own style annuals such as the eagle and ranger. latterly, when a personal sense of humour had become marginally more mature, oor wullie and the broons offered an entire range of glaswegian vernacular for repetition in the school playground. based on limited research (eg. none at all), i cannot honestly say that i have caught sight of a cycle sport, procycling or cycling weekly annual, offering the opportunity to join the dots to reveal cav in outline, or decide which route through the maze would bring chris froome to the summit of the ventoux rather than an anonymous french car park. and what of a cycling related sudoku? but the more mature tastes that really ought to infect the more consummate psyche can still be satisfied at christmas. in fact, they could perceivably be satisfied by the 19th of this month, though i'd be inclined simply to leave the laptop open at this page, in the hope that your other half will take the hint. heck, i'll even replace the twmp logo at bottom right with some holly by way of subtle encouragement. graeme fife's now substantial insight into the the history, legends and riders of the tour de france has entered its fifteenth year, surely earning it the apellation of cycling annual. first published as a rather smaller package in 1999, i'd be surprised if anyone has collected each and every issue, but the clever part is that each subsequent publication contains all the content of the previous editions. how can you possibly go wrong? 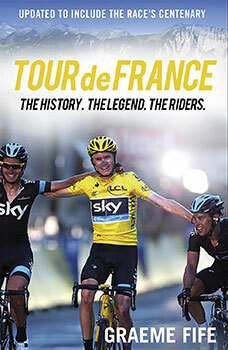 the 2013 edition needs a large jiffy bag in which to be delivered, for it now extends to a substantial 558 pages, the latter 45 of which concern themselves with chris froome's yellow jersey this past july. graeme fife has a commendably fluid writing style, one that would have you forget there is any reading involved at all. legends and anecdotes are simply absorbed from the pages, and reading end to end probably qualifies you with a masters in tour history and lore. £14.99 is way too low a price for cycle literature of this quality. the annual series has been regularly published by edinburgh's mainstream publishing, a company that i believe is due to desist at the end of the year, so the possibility exists that this may be the last edition in a currently unbroken chain. if that is indeed the case, it would be a crying shame (though i believe plans are afoot to transfer the rights to a similarly caring publisher). for few, if any other publications have documented the tour through the eyes of a writer with such an impressive palmares in the sport. there are no party games involved, no anagrams to solve and no pictures of sir bradley to colour in, but make no mistake, this is the king of cycling annuals, one that will overshadow those other presents under the tree come december 25th. unless one of them is a new colnago, of course. frenchman charles augustin de coulomb is best known for having formulated coulomb's law, essentially the definition of the electrostatic force of attraction and repulsion. the standard unit of electric charge, known as the coulomb, was named after him. however, other than his work in this particular field of discovery, he is also slightly less known for his work on the laws of friction. though leonardo da vinci first wrote the rules of sliding friction, coulomb looked more closely at the four principal factors involved, including the nature of the materials in contact and their outer coatings, the surface area and any external pressures brought into play, as well as the period of time any two surfaces might remain in contact. such scientific explorations might seem somewhat esoteric when described in such untethered terms, but there's no denying their intrinsic application within the life of the average bicycle. 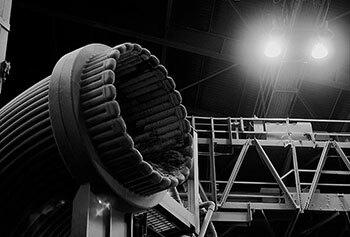 frictional forces are endemic in cable-operated braking systems and too much can seriously affect modern indexed gear systems. but to describe friction as a single entity would be to underestimate the many facets involved. coulomb's investigations included the influence of sliding velocity as well as the temeprature and humidity. these considerations allowed him to distinguish between static and dynamic friction forming the basis of his law of friction. of course, as is often the case with scientific postulations, it's often a mere matter of time before someone else comes along and either develops matters further or offers a complete refutation of all that has gone before. i recall my elementary atomic physics book being regarded with childlike simplicity on discovery of all sorts of previously unheard of atomic particles that make atoms the little blighters they are. however, to be unfairly dismissive of cern's large hadron collider and the higg's boson, when i wake up each morning, solids, liquids and gases appear much as they did on previous days. friction, on the other hand, plays a far greater part in my day to day, and whether you realise it or not, in yours too. for how inefficient would cable operated braking systems be if coulomb and his peers had not spent many of their waking hours examining friction from each and every angle? and would those eleven-speed indexed gear systems snap easily into each sprocket if friction were allowed to play havoc with compressionless cables? 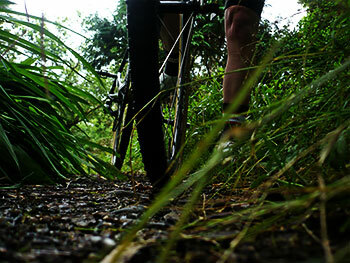 but in the light of a forthcoming cyclocross season, friction is likely to be something uppermost in many a rider's mind when hardpack turns to gloop, rocky roads are awash with precipitation, to say nothing of acres of wet grass. 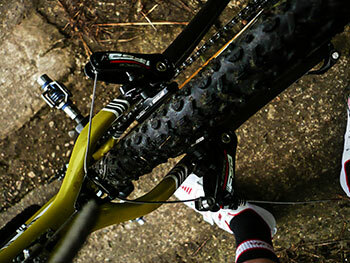 i recall a conversation with richard sachs some years ago regarding the encroachment of disc brakes into the world of 'cross. was such a development, i wanted to know, simply a marketing gimmick on behalf of the frame manufacturers, or were there truly benefits to be had from apparently heftier stopping power? without committing himself either way, mr sachs was keen to point out that slowing down and/or stopping when involved in negotiating off-camber muddy corners or falling competitors directly ahead, depended not solely on nature of the bicycle's braking system. what played equally as great a part in the equation was the level of friction available between tyre and ground. it's hard to deny the veracity of his answer, and may partially explain why so many euro pros have remained faithful to the cantilever brake at the expense of a pair of rotors. but to concentrate on the method of braking in the light of the above is surely to miss the point? 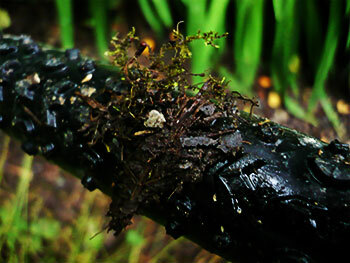 perhaps much of the perceived problem can be attacked and solved by the rubber affixed to the bicycle wheels. and that brings on a whole slew of unforeseen problems that most of us are possibly unqualified to competently answer. 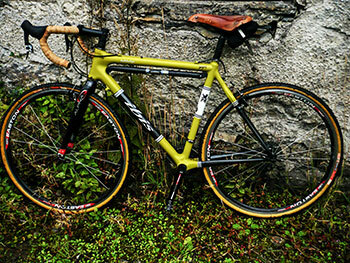 for if i wish to make the most of my admittedly feeble attempts at cyclocross, it makes sense to opt for the finest pair of tyres i can lay my tyre levers on. climbing, descending, cornering, braking and negotiation of obstacles that were surely not there last time round are skills that can be learned through regular practice, but can perhaps be lessened to an appreciable degree by a set of tyres that does much of my thinking for me. following an extended period of rock'n'roll through the nooks and crannies of bridgend woods, allied to avoiding herds of cows and flocks of sheep along the grassy extent of uiskentuie strand, i think i may just have found the very pair for me. the cielo is shod with a pair of 700x25c challenge strada tyres, while those beautiful ghisallo wooden rims still wear challenge 700x27c parigi-roubaix open tubulars. the latter nomenclature refers to the challenge method of constructing their clinchers in exactly the same method as their tubular tyres. the subtle difference is that the former do not enclose a latex inner before being sewn around their circumference. instead, they receive an aramid bead to better accept a standard clincher wheel rim. 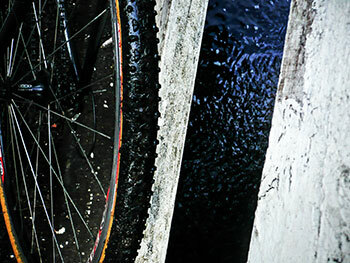 this process extends to their cyclocross tyres of which the grifo is a principal example. at 33mm wide, with a tan sidewall and sparsely populated knobbly tread, you have no idea the relief experienced when they fitted to a pair of easton alloy rims without recourse to sweary words and thinly veiled threats. having already attested to my limited knowledge of tyres that might suit the cyclocross genre, i'm making an educated guess that the substantial spacing between the knobby bits of tread is to discourage any build-up of mud when large gloops of the stuff are unavoidable. unavoidable is a word that rears its ugly head more often than i'd like to admit when i'm playing at being jeremy powers and sven nys. i don't have too much trouble gaining velocity along the grassy paths that populate the woods, but i cannot deny that my deftness has very minimal bounds, making all sorts of stuff unavoidable, some of which really ought to be avoided at all costs. a decent pair of tyres such as the challenge grifos mean that i still have the use of each and every limb and the ability to type. one of the main advantages proposed in favour of proper tubular tyres is the ability to be ridden when punctured and also at very low pressures. despite my 'cross route being populated by every type of surface imaginable, i thought it a wizard wheeze to drop the pressures to the low twenties. if nothing else, innocent bystanders would be impressed by my apparent professionalism. it transpires that i had lowered the rear one just a smidgeon too far, for dents in the track surface and chunky rocks pushed the weighted rear wheel to bottom out rather more frequently than desirable. 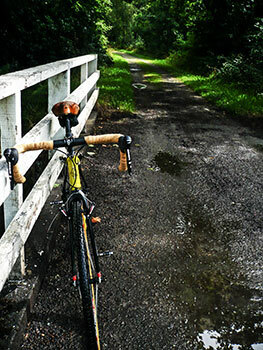 i dismounted on a couple of occasions, convinced that i had either damaged the rim or punctured the tyre. turns out (thankfully) neither was the case. perhaps not unsurprisingly, grip was quite noticably improved; on grass, in mud and on the heaps of gravel that leapt up and surprised me on the access road to islay house. i have since increased the pressure in that rear tyre to a pre-determined number of pounds per square inch, leaving most of the traction intact while removing the worry of deconstruction behind my back. if i might, albeit briefly, return to richard sachs' contention that braking has as much to do with grip as with the fastidiousness of the brakes themselves, i very unscientifically slammed on the fsa carbon cantilevers in the most idiotic of places, frequently when there was no real need to do so in the first place, and once or twice when it would have been considerably safer to keep pedalling. i am happy and extremely thankful that not only was momentum conserved, but friction was my comforting bedfellow. these moments of ill-advised stopping frequented every variety of surface i could find, though one unexpectedly forced episode involved a rapid change of trajectory by large brown cow, seemingly unimpressed by the lime green of the hakkalugi's chassis. it only remains for me to point out that my vegetarianism remains intact. but all the foregoing may just be riding too obviously round in circles, avoiding the very question that you all have at the back of your collective mind. are they of any good when ridden on metalled roads? i could be facetious for just a moment or two and make an unhealthy comparison between the tracks around bridgend woods and the very highways that are the lifeblood of the island as a whole. in common with most of the country, our roads are rapidly disintegrating, making it a lot harder to find a smooth section that recalls the roadways of yesteryear. however, to not confront the problem hardly makes it go away. check the tread pattern illustrated below and note that there is the dotted equivalent of a central ridge, all the more visible at speed. this ameliorates most of coulomb's friction; progress is a lot faster and smoother than an aspiring sven nys has any right to expect. 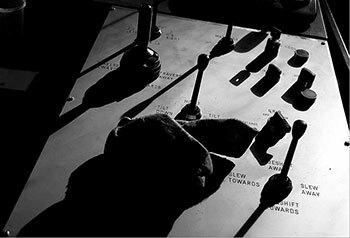 the round knobs on each side of the carcass play no part in the proceedings, only entering the fray when canted over through proper offroad. to place all this in some sort of context, i confess i really ought to ride real tubulars before making spurious comparisons between the challenge open tubulars and their closed brethren. it's a task i look forward to attempting in the foreseeable future, but for now, i'm happy to entrust my rural explorations to the challenge grifos, principally by way of their fortitude in the face of adversity, but also because they look so darned professional sitting outside debbie's cafe. in my case, all such enhancements are to be welcomed with open arms. the art college i attended was but a few hundred metres along the river from the local school of architecture. it did not take too long to discover that, whatever else architects were good at, drawing was not one of them. in those arcane, pre-digital days, letraset must have been kept singlehandedly afloat by purchases from the school of architecture shop. though drawing boards, t-squares, protractors and set squares may have occupied front and centre of each individual student's locker, most of the top shelf must have been packed to the gunwhales with sheafs of letraset people, cars, trees and bushes in several common scales. naturally enough, on the few occasions when we were required to attend a communal talk in the architecture lecture theatre, those of us concerned more with art than the grey pullovers, would offer a shameless outward display of disdain at the visualisations shown in the display cabinets. the demonstrable differences between us and them were almost tangible; anyone could be an artist; there was never any compulsion to attend a centre of learning. architects, on the other hand, were required to be appropriately qualified after seven years of learning, rather diminishing our meagre four years worth of scribbling. it is a salient fact that many a profession cannot be legally undertaken unless an appropriate amount of certified study has been completed. 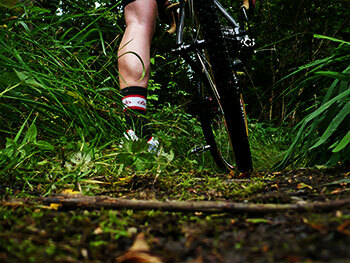 assuming a suitable level of fitness, any of us can become a professional cyclist. anyone with contacts and a bit of cash can be a farmer, in charge of herds of cows and sheep and owner of a big red tractor that dwarfs every other vehicle on the road. i could also carve out a career as a drummer based purely on a lot of practice, hard-work and being in the right place at the right time. legally speaking, i cannot be a lawyer or barrister, or a doctor, or a commercial airline pilot and, if truth be told, it's becoming ever harder to carve a career as a bicycle mechanic without a piece of paper that proves i can. teaching is a profession barred from the amateur as is marine engineering, air traffic control and a career as an electrician. however, as was once pointed out to me by an hotel owner, there is no qualification required to own an hotel, or cafe, or bar. or retail emporium of any kind come to that. provided the financial wherewithal is available from one source or another, the rest is down to good luck and judgment. and that applies just as much to a cafe or restaurant which offers designer coffee. however, the lack of any academic or professional qualification does not stop the offering of an espresso that would take the top of your head off. 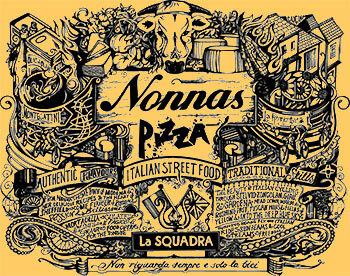 there are ways and means, the latter having been cleverly considered by the folks at nonnas italian restaurants in sheffield and chesterfield with regard to their street food cycle cafe enterprise. based in the sheffield premises, street food cycle cafe embodies both take-away and retail coffee sales which they not unnaturally maintain "blends perfectly with cycling passion and heritage". but then they would say that, wouldn't they? and say it they have by offering a free two page newspaper entitled 'acciaio', readable both online and, as they say 'instore'. appended to all this talk of italian food and coffee is nonnas' very own la squadra cycle club, complete with its own team kit. 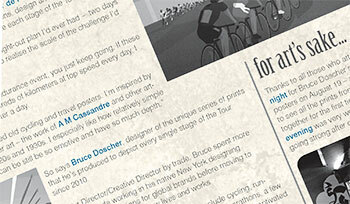 the current issue of acciaio opens with a page one feature on the tour de france posters of new york artist bruce doscher, followed on page two by a brief dissertation on the crucial points necessary to provide the ultimate cup of coffee for the needy cyclist (or visiting civilian, come to that). i have no idea whether the folks at sheffield's street cycle cafe are in possession of any relevant qualifications or not, but offering acciaio for our coffee enhanced reading pleasure strikes me as getting it right. 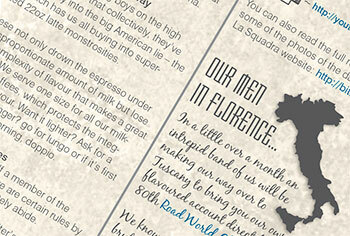 you can read or download your own copy of acciaio here. strictly speaking, the word ethnic relates specifically to national and cultural origins. it's the word that is often included in surveys that hope to learn, at least in part, a localised demographic based on origins. but it is also an ideal get out clause in tricky situations where a clash of tastes might lead to some verbal disagreement at worst and a mere cooling of relationships at best. its use in this situation is based predominantly on a vagueness of perception; not everyone has quite figured out the specific definition of the word ethnic, and even if they have, you might still get away with it. allow me to illustrate by way of an example. you have been invited round to dinner at the home of a good friend, partly for the food and partly that they might show off the very latest in house furnishings. the fact that matters of taste will inevitably enter the equation are likely uppermost in both sets of minds, hoping that any clash will be suitably and amicably ameliorated. and that's precisely where the word ethnic plays its trump card. mrs washingmachinepost and i have a plain brown leather suite consisting of two sofas and my comfy writing chair. truthfully, there is little to be objectionable about, but the scatter cushions might raise one or two eyebrows, particularly by those who are less than impressed with the notion of scatter cushions in the first place. hopefully these cushions can remain their personable selves and sit anonymously in the background. but there's always the chance that mrs twmp might ask someone's opinion. unless the askee truly delights in the fashionability of such items, the only acceptable answer to any query as to their appropriateness is "those are positively, ethnic". i'm sure you can see just how that avoids digging a hole from which there is no escape. it's the very statement that allows for amenable interpretation on behalf of both parties. while i rather hope i have provided the means to avert almost certain social estrangement, it only serves to underline that taste is very much a personal affair and not necessarily transferable amongst consenting adults. and that's something that applies equally to the sort of taste that concerns consumption of food and drink. many a honed athlete has achieved their present level of health, wellbeing and fitness not only by attention to an excercise and fitness regime, but by augmenting such preparations with certain allowable supplements. these may take the form of carbohydrates, proteins and mineral bars or shakes; the sort of thing that will hopefully assist with dietary requirements and or muscle repair following intense exercise. considering my oft mentioned aversion to training in any shape or form, i would surely side with your suspicion as to my appropriate qualifications for making any pertinent comment concerning supplements such as that i am about to bring to your attention. you will however, doubtless sympathise with my desire to explore the benefits of the combined joys proffered by matrix waxy maize and scottish oats, particularly concerning the latter ingredient. aside from this self-confessed distaste for a training schedule, the second part of my ineptitude concerns paying attention to words, numbers and pictures on the website of the supplement centre who were kind enough to send the product for evaluation. the picture of a black plastic tub of waxy maize and scots oats looked as if it bore a verisimilitude to a small tub of such as apricot conserve, thus the very equal of my modest requirements. 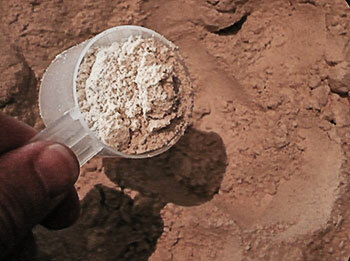 had i lifted mine eyes only a matter of millimetres, i would have noted the weight of said small plastic container, for on arrival it transpired i had received five kilograms of beige powder which, it has to be said, in its raw state is less than appealing to the carbohydrate hungry honed athlete. 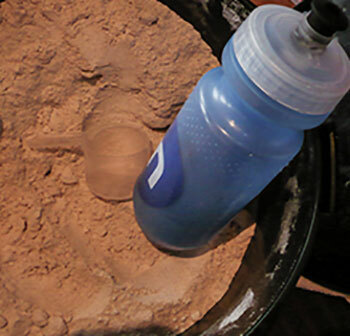 however, inside the substantially sized container (you'd almost have to train to lift it onto the kitchen table) is a clear plastic scoop, allowing a simple way of measuring each dose of carbohydrates. aside from its unappetising look, it would be hard to say that a suitably mixed, recommended solution of waxy maize and scottish oats took on a more appealing form factor. mixing two scoopfuls with around 500ml of plain water produced a grainy fluid that needs a lot of shaking to dissolve unwanted clumps of powder. due to its granularity and relatively bland flavour, i'd be hard pushed to approve of taking a bottle with you on the bike; there's little doubting its possibility for physical improvement, but in my opinion, taste is everything and i'm just not sure that this would be the flavour i'd be gasping for in moments of velocipedinal need. however, all is not in vain. though you are at liberty to substitute cows milk for my soya preference, mixing two scoopfuls with 500ml of soya milk on return from busting a gut bears not only the professed advantages, but provides a rather satisfying shake without the cloying sweetness of fructose and glucose and an overbearing flavour. i have read all the literature that accompanies the product and though i am not well enough versed in the appropriate sciences, i'm quite willing to take their word that my personal being is being irredeemably enhanced. i'm not even sure that i exercise long enough or hard enough to experience all the concomitant potential benefits, but i get the distinct impression that such is scarcely the point. i have now adopted a post-ride habit of mixing a bottle on return and slurping on the way to the shower. there is no unpleasant aftertaste and all those carbohydrates must surely be infiltrating my honed physique with unfettered alacrity. after all, it has scottish oats in it, so what's not to like?